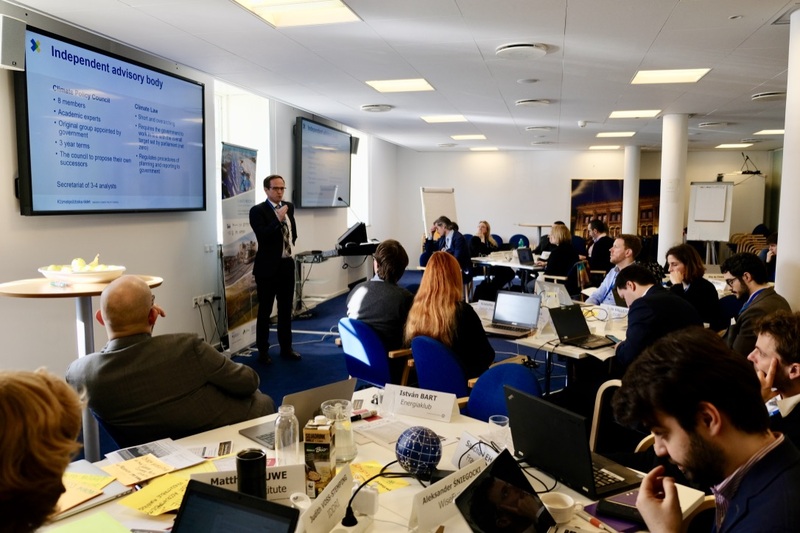 The third set of dialogue workshops for government officials and related experts from the Climate Recon 2050 project were held in Copenhagen at the end of February 2019. 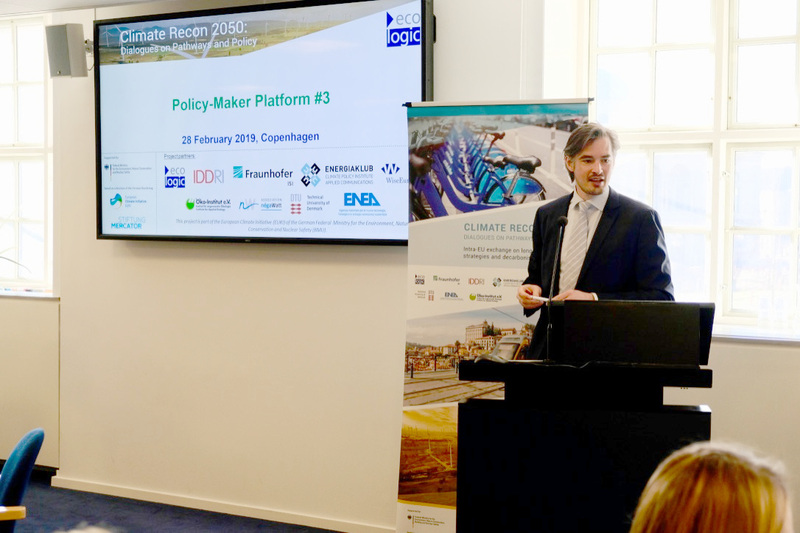 The Climate Recon 2050 project aims to support policy-makers required to deliver 2050 climate strategies by the end of 2019, as mandated for all Member States under the EU Governance Regulation. 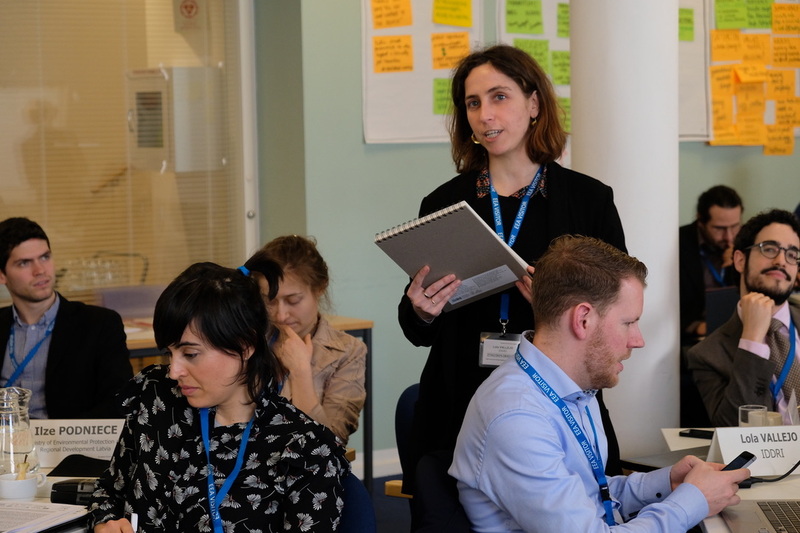 To this end, the project team have been organizing two main fora: 1) a technical dialogue for modellers and other experts designing 2050 climate policy scenarios and 2) a policy-maker platform to create a space for experience sharing among representatives from different EU countries. Matthias Duwe from Ecologic Institute opened one of the dialogue workshops. The presentation is available for download. The EU Member States have two specific pieces of climate policy homework to do in 2019: 1) long-term climate strategies, outlining how they will reach deep emission reductions by 2050 and 2) national energy and climate plans, specifying their interim actions toward 2030, including policies and targets for renewables and efficiency. 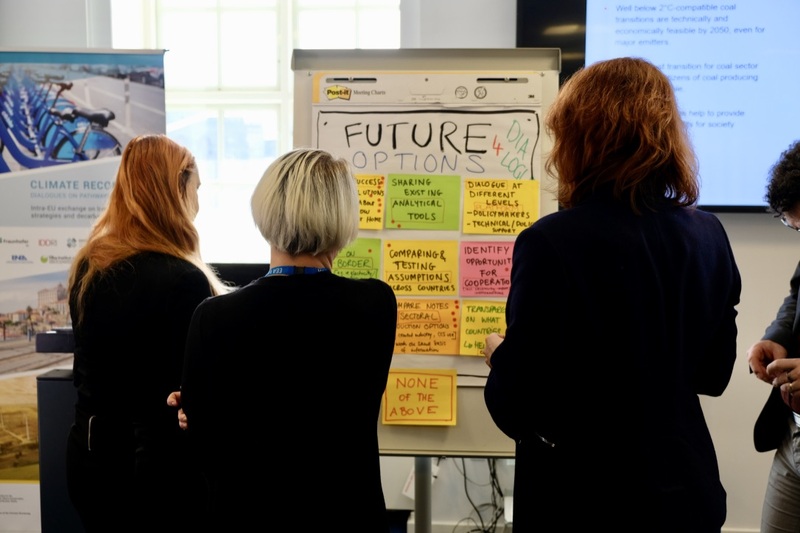 These complex planning processes represent a technical and political as well as a capacity challenge to the Member States – and sharing experience on these among EU countries can provide support. 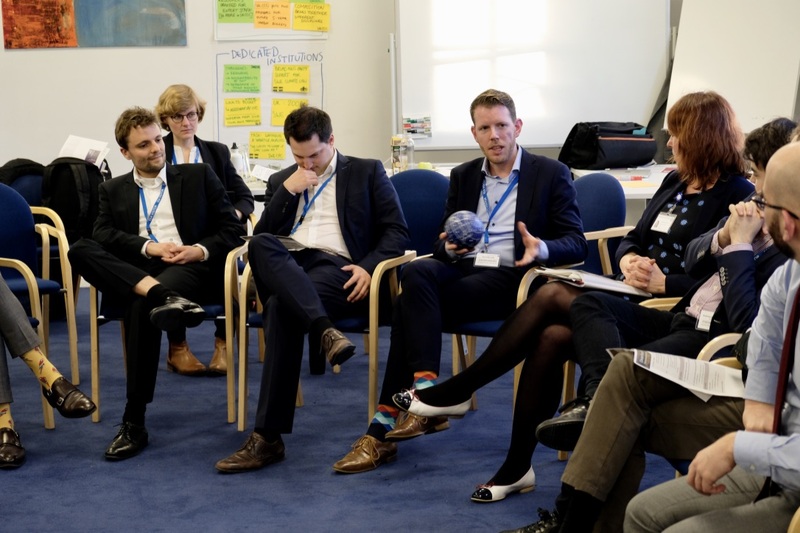 Providing space for such experience sharing was the objective of the third set of dialogue workshops for government officials and related experts from the Climate Recon 2050 project, held in Copenhagen at the end of February 2019. 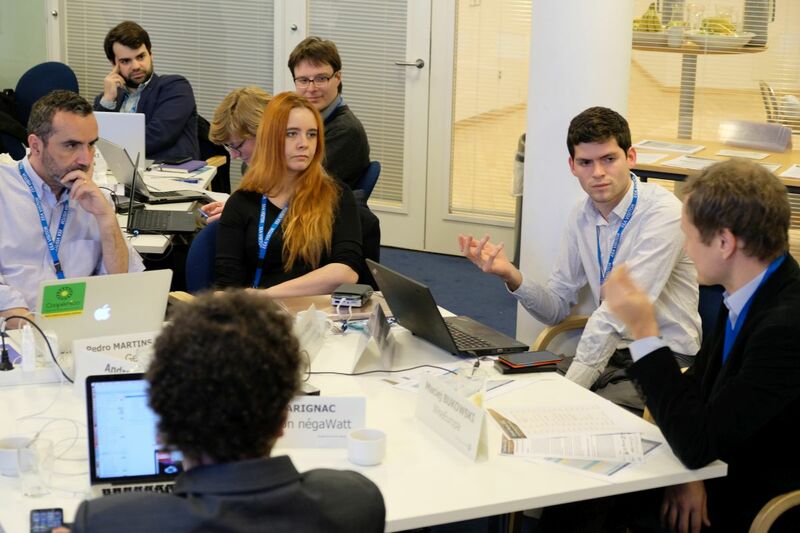 Net-zero emissions, sufficiency, governance and structural transition process were key topics at the Climate Recon 2050 project’s most recent set of workshops: the Third Meeting of the Technical Dialogue and the Third Meeting of the Policymaker Platform, held on 27-28 February 2019 in Copenhagen. 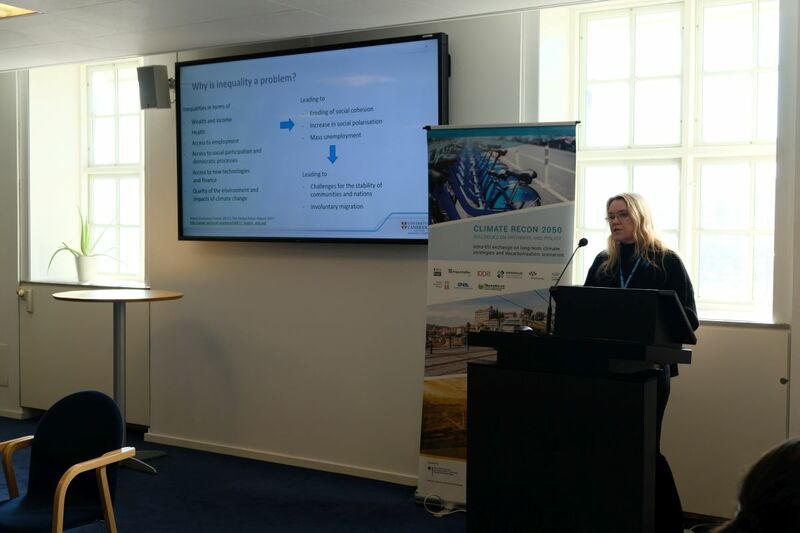 The workshops were kindly hosted by the European Environment Agency (EEA), which had recently analysed the existing national 2050 strategies in the EU. The Technical Dialogue meeting brought together experts from 20 different institutions including ministries, government agencies, research institutes, think tanks and universities, from 10 European countries. 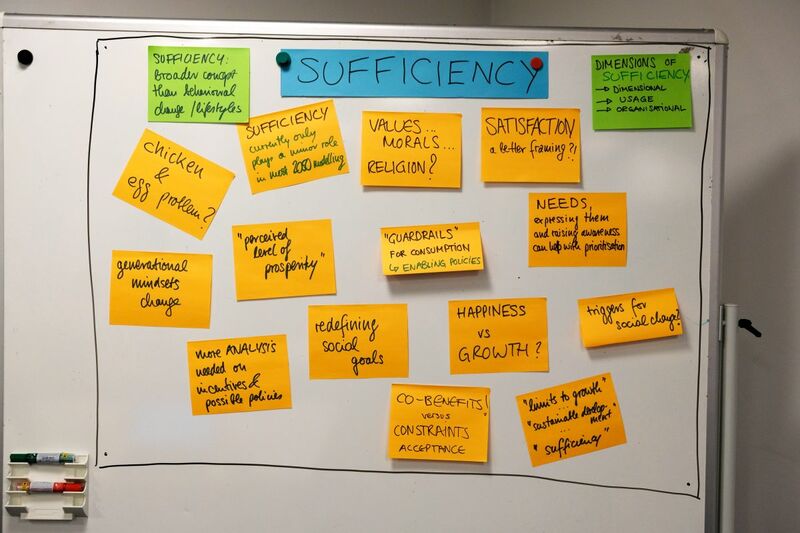 The highlights of the workshop included a presentation of the results of a new body of research on sufficiency (term encompassing efforts to rethink and redesign collective and individual practices in line with planetary boundaries and social foundations) and the potential for including such social transitions and behavioural change into climate modelling and strategies. The presentation and ensuing debate were led by Yves Marignac (negaWatt association). 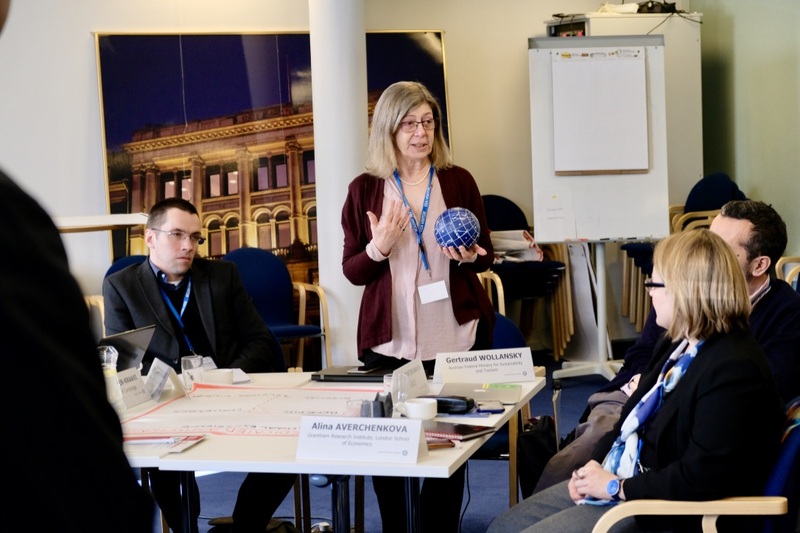 In an input prepared specifically for the workshop, researchers from Oko-Institut (DE), negaWatt (FR) and Danish Technical University compared the results of "net zero" modelling exercises undertaken in Germany, France and the Nordic countries. In their presentation, they highlighted the common challenges but also options and potentials that were made visible through the analysis. At the Policymaker Platform representatives from governmental institutions from across 12 EU Member States and EU institutions, as well as policy, governance and modelling experts from European research institutes and think tanks discussed challenges and good practices of developing national long-term climate strategies. 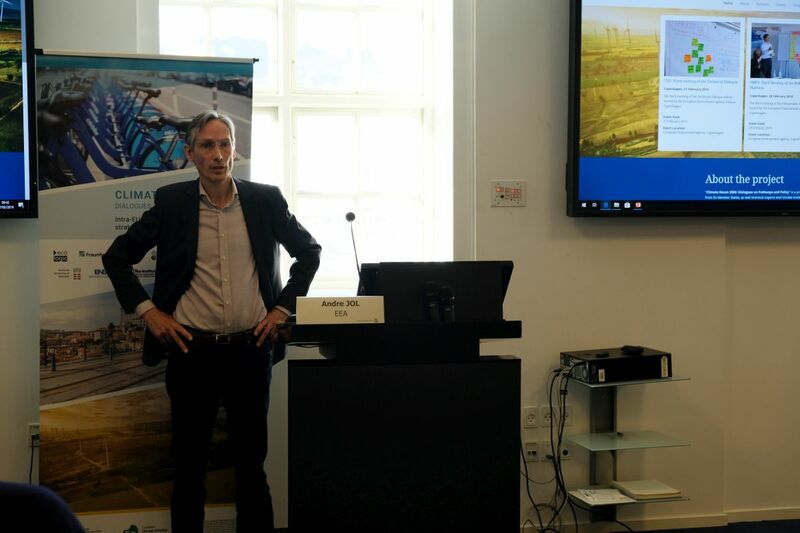 The session was opened by François Dejean, Head of climate mitigation group at the EEA who presented an overview of existing long-term strategies in the EU and their consistency with short-term policies, basing on the results of a recent EEA study. Benefitting from inputs by Alina Averchenkova – a LSE Grantham Institute’s Lead on Governance and Legislation with a wealth of expertise on the UK Climate Change Committee and Ola Alterå, the Chief Executive of the newly established Swedish Climate Policy Council, the participants learned about the essential factors that need to be considered to establish successful independent climate change advisory bodies. The following interactive sessions, designed to ensure active exchange between participants, focused on the issue of just transitions and economic and structural change. The back-to-back workshops ended on a positive note: during an interactive exchange session designed to capture the interest in similar activities going forward, the present policymakers expressed interest in keeping the discussion going with hopes expressed for future dialogues. 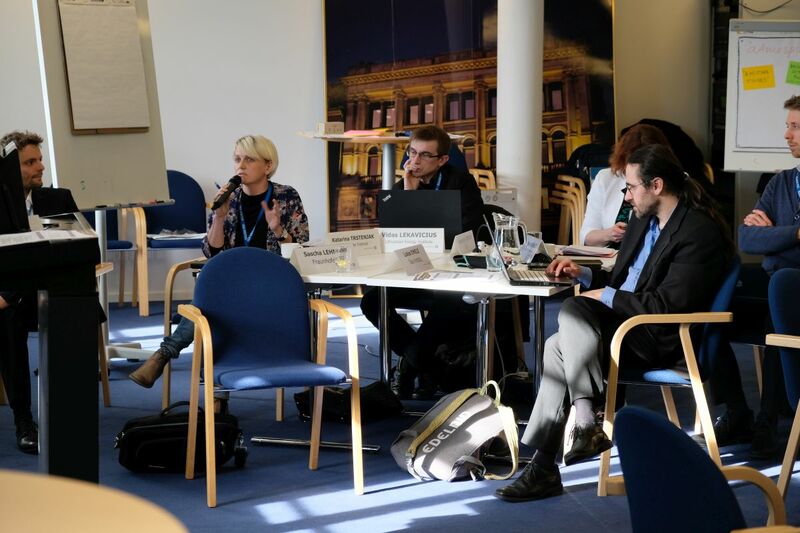 The Climate Recon 2050 project is supported by the European Climate Initiative (EUKI) of the German Ministry for the Environmentas well as the Stiftung Mercator. 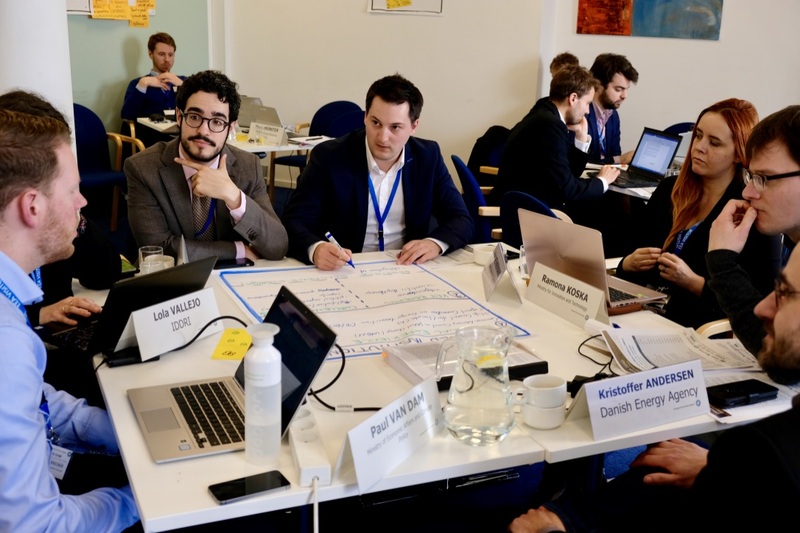 The project is led by Ecologic Institute and is implemented together with eight partners, research institutes and think-tanks from across the EU. Ecologic Institute has led the preparation of the Policymaker Platform meeting.